We've just started offering a new strength and conditioning class here at Edgeworks, ClimbFit! Focused on getting you the strength and endurance you need to climb at your peak, ClimbFit is a high intensity training strength circuit class. During a 45-minute ClimbFit session, you may use any combination of body weight, Bosu Balls, exercise balls, resistance bands, dumbbells, benches, steps, or stationary bikes in rotation. Regardless of your experience, this class will push you to the edge of fitness. ClimbFit is on Mondays at 6:00 p.m and Tuesdays at 7:15 p.m. Like our other fitness classes, ClimbFit is included with your Day Pass Admission and free for our members! Monday 4/30 6:00- 6:45 p.m. 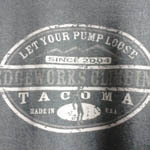 Select styles of Edgeworks T-Shirts are on clearence. April is here! We're excited to present our annual T-town Pulldown Competition. The comp will go down April 28th and you'd better be there. It's one of the biggest comps in the Northwest and some of the best routes of the year are put up for this competition! The energy is phenomenal and the raffles & prizes from climbing brands like Boreal, Petzl, and Evolv are awesome! The T-Town Pulldown Comp features awesome routes, prizes, and gear from awesome companies. This year the T-Town Pulldown is a Redpoint competition featuring lead and top-rope routes. USAC members pay a mere $41.00 for entrance and a T-Shirt. The pre-registration deadline is April 18th. You can find the registration form here. 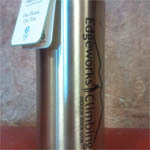 Edgeworks is closed to open climbing during the competition. The T-Town Pulldown Competition is a SCS sanctioned event presented by Edgeworks Climbing and USA Climbing. CHECK OUT THE EDGE BLOG! Be sure to check out the new Edge Blog, on our brand new website. The blog will feature climbing tips, stories, articles, videos, featured edgeworks climbers, deals on gear and classes, and tips for the Puget Sound climbing community. Stay up to date with everything going on in your climbing community! To launch the blog, Jon Manz posted a quick report and pictures of his most recent trip with Ken and Justin to Red Rocks. Be sure to check it out. For new and experienced climbers alike, a quick reminder to focus on precise footwork is always worthwhile tip. "Focus on watching your foot all the way to the hold," explains Jon Manz. "A lot of people see a hold and before they've placed their feet, they're already looking at the next move." Is that you? Watch your foot on each and every hold! That means more than seeing it. Follow your foot to the best position on the hold and watch until you're applying pressure. That, ladies and gents, is precise footwork. Go to it! During the month of April, our Annual Corporate Memberships are on huge discount. Starting April 1st (No, this not a joke), you can get an Edgeworks Corporate Membership for just $445. That's a $100 savings. Spending your summer at Edgeworks means a fun filled vacation with games, activities and loads of climbing. Join us for a summer unlike any other! Click here for more info. The ProRock program is just $99 a month and includes your membership! For those who are already members, ProRock is only $44/month. Learn more here.